While some say Nitrox enables you to dive longer than with air, this is a myth. The level of PSI (BAR) in your tank stays the same. Nitrox merely extends your dive time such that you can stay longer at greater depths. This is possible due to the lower nitrogen level in enriched air Nitrox compared to normal air. Furthermore, it permits you to dive longer on repetitive dives and shortens your surface interval. However, with enriched air at AB-Dive you will dive longer as well. Our modern machines fill our tanks up to 3200 PSI (220 BAR) instead of the 2800 PSI you will get in most other places. 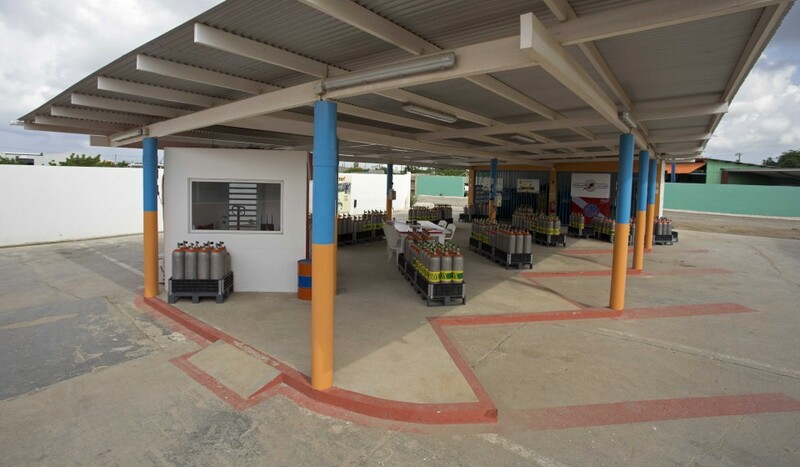 AB-Dive is very fond of Bonaire’s nature. Nothing competes with a dive along the reefs of our wonderful island. That is why we contribute to conserving our environment by solely generating off-grid power. Your dive tanks are filled 100% sustainably using renewable solar energy. 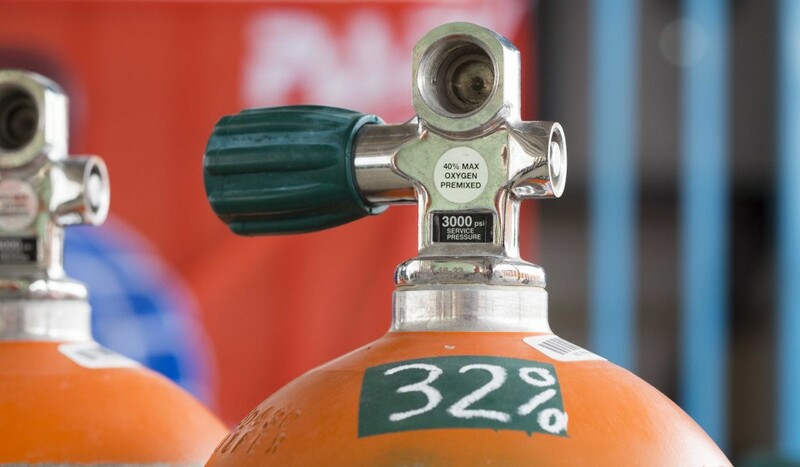 At AB-Dive we are also concerned with your well-being and therefore only offer the highest air quality. Because we refill our dive tanks every day, the air constantly flows and you will always explore the reefs with fresh air in your lungs! In addition, we change the air filters in the compressors every month and exclusively use European Bauer compressors. On your diving vacation you probably want to explore the underwater world as much as possible. Make use of our drive-thru service for an expeditious experience, but don’t forget to drop by as you are always welcome for a chat and a cup of coffee. We always have new tanks ready to go for you. 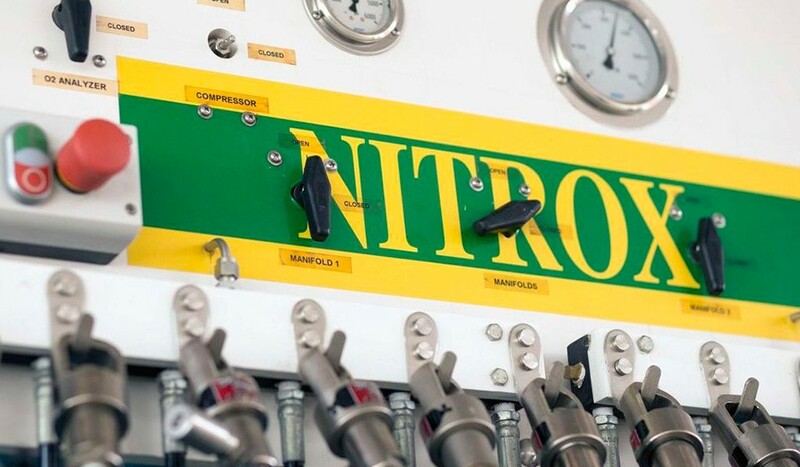 Diving with enriched air nitrox extends your bottom time. Enriched air has a higher oxygen and lower nitrogen level than regular air. It thus gives you more no decompression time and shortens your surface interval, which allows you to get back into the water quicker. Do you also want to dive with enriched air? Get certified at AB-Dive.